The other evening I took a walk through Times Square NYC, and on a two block span I saw at least 7 woman in hijabs, and one with the Islamic ninja head covering. Eyes only, but it was not black, it was leopard spotted. That night it was raining so because of that, on some of the corners the odor of halal foot reeked more than usual through the air from food carts. These are examples of what I call insidious Islam. Aspects of Sharia seemingly harmless, gradually seeping into our society. One leading to another. Then one day you wake up and realize your neighborhood has changed to suit Islam. This is what happened across Europe. Obviously the violent side of Islam is a threat, but insidious Islam is a greater one. As Muslims have successfully turned our freedoms into tools of Islam. 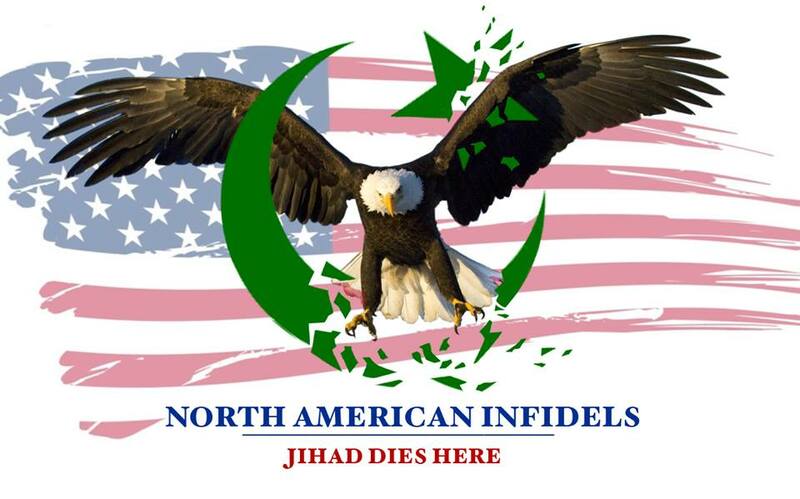 ← Logan’s Warning/NAI to DOJ ~ Islam Offends Me! It Violates My Civil Rights! Thank you very much for posting this one, Mr. Logan! You have just given me an idea for yet another arselifter tune. I think I’ll call this blues tune “Too Many Arselifters in Too Little Space”! Thanks, keep up the fight! In light of the recent IRS subversive actions, it makes me even sadder at the loss of Governor Romney for our president. How much greater, and safer we would be. The insidiousness of muslim infiltration would be curtailed. C A I R would be less empowered. And God, marriage, and country would be our cornerstones . . .
Romney declared Jihad is not part of Islam. Yes, Romney would have been better than Obama and I voted for him. BUT on a scale of -10 to +10 on Islam, I would rank Obama a -10 and Romney zero. Alan West would be a +10. Hi Chris! You asked whether I received your email. No, I didn’t, but then I was sent a message several months ago to say that our systems are incompatible. My emails didn’t reach you either. It has been hectic here; so much to email and write to our politicians about, the beheading of Lee Rigby, Keith Vaz MP getting Pamela Geller and Robert Spencer banned from UK, a Muslim defence group supported by Anjem Choudary aiming to support any Muslims by Islamic means, who are attacked, member of Met Police staff arrested for sexually atttacking 13yr old, Aras Hussein arrested for allegedly beheading an 18yr old girl in Sheffield, UK and so the enrichment of our once civilised country goes on. When the emails have got through (up to last Fall) you have asked about my family. We are all jogging along pretty well and I hope your family are thriving, too. Many thanks as always for this wonderful site which I always recommend to others who want to fight the barbarity of Islam. if i may ask what do u suggest the women ware? i thought u said it was a free society. Tiny girls are made to wear a hijab in a heatwave, while their brothers cavort around in tee shirts and shorts. This is child abuse. The black shroud has a political meaning. It means harm to the infidel and is meant to intimidate non-Muslims and put the jihadist stamp of the colour black upon non-Muslim countries. Some Muslim women wearing Western clothes in England have been told to wear the black garb by ‘teachers’ at their mosque who also tell them to ‘kill, kill, kill the infidel’ as part of their Koranic studies. Muslim men have worn a black burka to carry out crimes in the UK. Some have taken exams, driving tests etc gor their sisters, using the same ploy. What should they wear? Something that doesn’t hide the ready fist when a non-Muslim woman gets the piece of clothing a Muslim woman wants. On a hot day in London women can be seen in black burkas and thick black woollen gloves. If they were criminals, terrorists or disguised men, they woukd leave no fingerprints or traces of explosives. IMO burka wearing is a deceitful act. The hijab has been described by French Muslim students, relieved at not having to wear these now, as ‘a political statement, worn by Muslims who want to cause trouble. They are meant to provoke’. It is said that women in the West are paid (petro-dollar-funded) to wear a niqab.